Food Font is an interactive art project where people can make alphabets out of food, take pictures of each letter, and later use these and other food alphabets to create images and other creative projects. The project supports dialogue and builds community around food, health, and sustainability. For the project, people make an alphabet (also called letterforms) out of any kind of food. A set of letters could be made out of one kind of food, or several types of food. 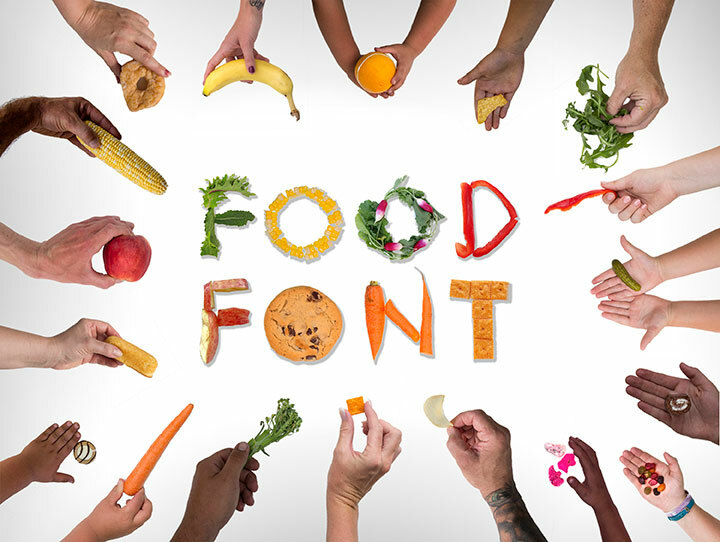 Some Food fonts that have been made include a kale font, holiday dinner font (made of food from a Christmas dinner), a French fry font, a vending machine food font, a packed lunch food font , and a chopped vegetable font. 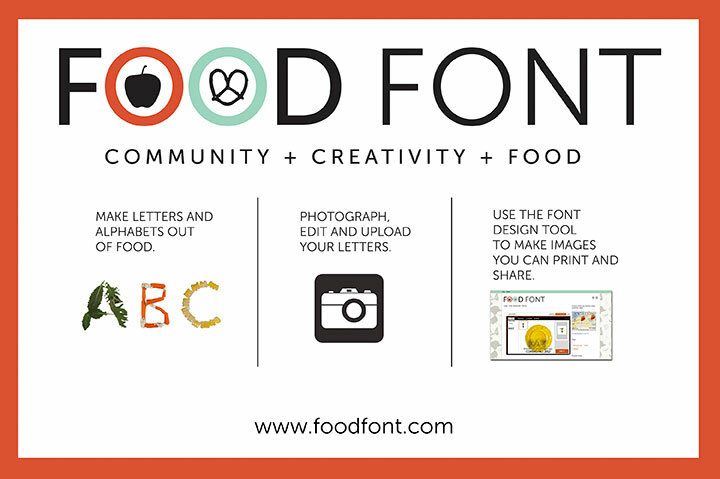 The letter making activity is a great way for individuals and groups to have fun and to interact and talk about food. At the Food Font event, each letter created is photographed. These are later edited and loaded into the online Food Font website. Individuals can use both printable and digital alphabets to create images, posters, signs, greeting cards, and other printed materials. The project is meant for anyone to do, which includes community members at Farmer’s market or at a community garden, teachers and students in a classroom or by a restaurant, by “foodies” and people who love food , or by you with your friends and family. It is a fun, creative activity that anyone can do of any age, and in any size group. Why not play and write with your food? 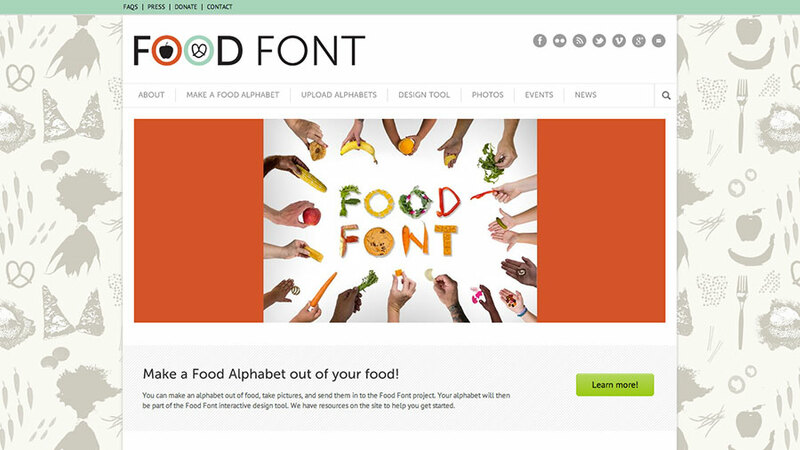 The project website is located at www.foodfont.com.